This artist's impression of the reentring Phobos-Grunt probe shows the ruptured fuel tanks ablaze as it tumbles through the atmosphere. The unmanned Phobos-Ground probe fell Sunday after being stuck in Earth's orbit for two months. The $170 million craft was one of the heaviest and most toxic pieces of space junk ever to crash to Earth, but space officials and experts said the risks posed by its crash were minimal because the toxic rocket fuel on board and most of the craft's structure would burn up in the atmosphere high above the ground anyway. News agencies had cited Defense Ministry spokesman Alexei Zolotukhin as saying Sunday that fragments of the craft fell in the Pacific Ocean off Chile's coast. But Zolotukhin told The Associated Press Monday that estimate was based on calculations, and no witness reports had been received. The deputy head of Russia's space agency, Anatoly Shilov, told state news channel Vesti that agency data assumed the craft broke up somewhere over Brazil. The Phobos-Ground probe was designed to travel to one of Mars' twin moons, Phobos, land on it, collect soil samples and fly them back to Earth in 2014 in one of the most daunting interplanetary missions ever. It got stranded in Earth's orbit after its Nov. 9 launch, and efforts by Russian and European Space Agency experts to bring it back to life failed. Phobos-Ground was Russia's most expensive and the most ambitious space mission since Soviet times. Its mission to the crater-dented, potato-shaped Martian moon was to give scientists precious materials that could shed more light on the genesis of the solar system.Russia's space chief has acknowledged the Phobos-Ground mission was ill-prepared, but said that Roscosmos had to give it the go-ahead so as not to miss the limited Earth-to-Mars launch window. Former Utah Gov. Jon Huntsman is expected to withdraw his bid for the Republican presidential nomination and throw his support to Mitt Romney, Fox News learned Sunday. Huntsman is set to announce his withdrawal from the race Monday at 11:00 a.m. ET at the Myrtle Beach Convention Center in South Carolina, at which time he will endorse his former rival. After several days of discussion with his family, friends and campaign advisers, the former Obama administration ambassador to China told aides he is ending his presidential campaign. 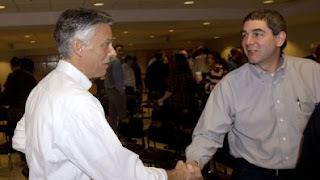 Governor Huntsman was encouraged in New Hampshire, but does not want to stand in the way of the best candidate to beat Barack Obama and will endorse Romney, an aide for Huntsman told Fox News. South Carolina senior staffers for Huntsman say they are "stunned," but partially relieved because they feel the state had been neglected by a lack of resources and attention. "(The) campaign never put serious resources ... to promote his serious conservative record that would have beaten Obama," Regional Southeast Political Director Adam Piper told Fox News. Meanwhile, Romney's campaign staffers were taken by surprise by the announcement of Huntsman's withdrawal and planned endorsement. Romney was not expected to be at Huntsman's event on Monday morning. Newt Gingrich spokesman R.C. Hammond responded that Huntsman's withdrawal would redound Gingrich. "With Governor Huntsman dropping out, we are one step closer to a bold Reagan conservative winning the GOP nomination," Hammond said. The former Utah governor placed third in last week's New Hampshire primary despite devoting most of his campaign resources to the state. He had already acknowledged that expectations for him in South Carolina's primary this week will be "very low." Word of the Huntsman withdrawal came on the same day The State, South Carolina's largest newspaper, endorsed him for president. The endorsement said there were "two sensible, experienced grownups in the race," referring to Romney and Huntsman. But it said Huntsman "is more principled, has a far more impressive resume and offers a significantly more important message." But Huntsman's own words about Romney suggested he would not be ready to endorse. Huntsman has said Romney lacked a "core," "has been on three sides of every major issue" and hadn't made an "effective case for trust in his campaign." However, Huntsman did tell Fox News that he respected Romney and thought he is a good family man and a decent person. Huntsman's resume suggested he could be a major contender for the GOP nomination: businessman, diplomat, governor, veteran of four presidential administrations, an expert on China and on foreign trade. Yet Huntsman was almost invisible in a race often dominated by Romney, a fellow Mormon. One reason was timing. For months, Romney and other declared or expected-to-declare candidates drew media attention and wooed voters in early primary states. Huntsman, meanwhile, was half a world away, serving as ambassador until he resigned in late April. Nearly two more months would pass before his kickoff speech on June 22 in the shadow of the Statue of Liberty. To distinguish his candidacy in a crowded field, Huntsman positioned himself as a tax-cutting, budget-balancing chief executive and former business executive who could rise above partisan politics. That would prove to be a hard sell to the conservatives dominating the early voting contests, especially in an election cycle marked by bitter divisions between Republicans and Democrats and a boiling antipathy for President Barack Obama. Huntsman also tried to offer a different tenor, promising a campaign marked by civility. "I don't think you need to run down somebody's reputation in order to run for the office of president," he said. While Huntsman was often critical of his former boss -- he joined those saying Obama had failed as a leader -- and occasionally jabbed at Romney, he spent more of his time in debates pushing his own views for improving the economy than thumping the president or his opponents. In light of his work in the Obama administration, Republicans seemed wary of Huntsman. While he cast his appointment in August 2009 as ambassador to China as answering the call to serve his country, his critics grumbled that he had in fact been working on behalf of the opposition. In the end, Huntsman didn't seem to register, crazy or otherwise, with Republicans looking for an alternative to Romney or a winner against Obama. The former Utah governor was routinely at the bottom of national polls, barely registering at 1 or 2 percent, a reflection of the faint impression he made in the GOP debates. His campaign put all its emphasis on the New Hampshire primary, hoping that face-to-face politicking in the first-in-the-nation primary would pay off with a strong second-place finish or a surprise victory in Romney's back yard. While other GOP candidates spent December in Iowa, the Huntsman campaign ignored its leadoff caucuses, where social conservatives were all but certain to give the Mormon from Utah short shrift. Central to Huntsman's New Hampshire strategy was its open Republican primary, which allowed independents to vote along with declared party members. He gambled that he could attract moderate voters, Republicans and independents alike, by presenting himself as successful conservative leader who wasn't interested in engaging in a culture war. While he served in the administrations of both George H.W. Bush -- he was ambassador to Singapore in 1992 -- and George W. Bush, Huntsman first won elective office in 2004 as Utah's governor. He was re-elected by a 3-1 margin in 2008, then resigned the following year to be America's top diplomat in China. 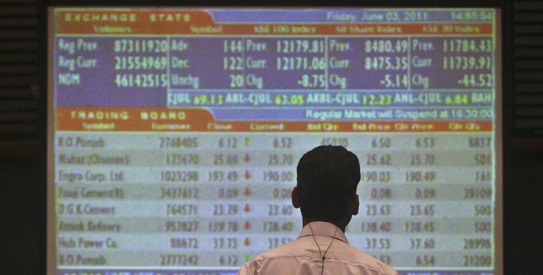 KARACHI: Pakistani stocks rose on Monday, led by the fertiliser sector, but in thin volume, as political turmoil kept investors cautious, dealers said. Pakistan's Supreme Court on Monday ordered Prime Minister Yusuf Raza Gilani to appear before the court for failing to pursue corruption cases against the president and other officials, a sharp escalation in the government's battle for survival. The Karachi Stock Exchange's benchmark 100-share index ended 0.89 per cent, or 98.19 points, higher at 11,112.65 on turnover of just 26.68 million shares. "Investors are unlikely to take any fresh positions in the market until there is clarity on the political situation," said Shuja Rizvi, a dealer at Al-Hoqani Securities. The court threatened the premier with contempt, the latest blow for the civilian administration, which also faces pressure from the military over a mysterious memo seeking US help to avert an alleged coup last year. While Gilani is the one facing a contempt hearing, most observers say the court's real target is President Asif Ali Zardari. Among the most active companies, Fauji Bin Qasim ended 1.4 per cent higher at 44.19 rupees, while Fauji Fertiliser closed 1.8 per cent higher at 165.49 rupees. The rupee firmed on Monday amid a lack of import payments, but dealers expect pressure on the local unit to continue in the short to medium term because of a bleak economic outlook. The rupee ended at 90.16/21 to the dollar, compared to Friday's close of 90.28/32. 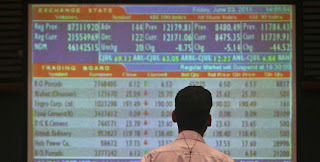 The rupee fell to a record low of 91.28 to the dollar in intra-day trade last week. Analysts say concerns about the country's economic stability, especially a weakening current account, are adding to pressure on the rupee. Pakistan's current account deficit stood at $2.104 billion in July-Nov compared with $589 million in the same period a year earlier. The deficit is likely to widen further in the coming months because of debt repayments and a lack of external aid. In the money market, overnight rates eased to end at between 10.25 per cent and 10.75 per cent from the level of 11.25 per cent on Friday because of slightly improved liquidity conditions. Islamabad - Pakistan's top court on Monday deemed beleaguered Prime Minister Yousuf Raza Gilani in contempt for failing to re-open corruption cases, exacerbating a crisis likely to force early elections. The Supreme Court summoned Gilani to appear on Thursday, escalating pressure on a weakened government at a time of crippling tensions with the army which some analysts believe could cost Gilani his job. "The Supreme Court has issued a contempt of court notice to the prime minister for not complying with its orders," Judge Nasir-ul-Mulk told the court which met to debate how to proceed on graft charges against the president. "He has been directed to appear personally on January 19." The Supreme Court wants the government to write to Swiss authorities demanding that they re-open corruption cases against President Asif Ali Zardari after a previous amnesty expired in late 2009. Zardari and his Pakistan People's Party (PPP) leadership have refused to do so, saying the president is immune from prosecution as head of state. "We will consult legal experts and take steps which they consider necessary under law," minister for law and parliamentary affairs Maula Bakhsh Chandio told reporters after the court order. In the past, PPP stalwarts have accused the judiciary of over-stepping its reach and colluding with the army to bring down the administration before its five-year mandate ends in 2013. Last year, a Swiss prosecutor said that it would be "impossible" to reopen a case against Zardari since he benefits from immunity as a head of state. Supreme Court judges have outlined six options on how to proceed on graft charges against Zardari - which include finding Gilani in contempt, disqualifying the prime minister and president, and holding early elections. Mulk said he had been left with "no option" but issue a show cause notice to Gilani after the government ignored the court's demands. It marks only the second time that contempt of court procedures have been initiated against a sitting prime minister in Pakistan. In November 1997, prime minister Nawaz Sharif was also found in contempt in a case which ultimately led to the resignation of president Farooq Leghari. Although the prime minister has little choice but appear on Thursday, analysts are divided on whether he could be convicted, pushed out to protect Zardari or show flexibility in order to avert a wider crisis. "There is possibility now that the prime minister will be made a scapegoat and he may resign," senior lawyer Quosen Mufti told AFP. "Another possibility is that the prime minister will appear before the court... If he gives the court a commitment on implementation the court can discharge the contempt notice. If not then he may be convicted," Mutfi added. The prime minister is likely to seek solace in a confidence vote in the civilian leadership in the lower house of parliament on Monday. Zardari is also under pressure over a memo soliciting American help to prevent a coup apparently feared in the aftermath of Osama bin Laden's killing in Pakistan on May 2 and to clip the power of the army. Zardari's close aide, Husain Haqqani, has been forced to resign as ambassador to Washington and the Supreme Court on December 30 ordered a judicial inquiry into a memo following a demand from the chief spymaster. The army has carried out three coups in Pakistan, but analysts believe it has no appetite for another direct takeover, instead preferring to force early elections behind the scenes in concert with pressure from the courts. The commission probing "memogate" is expected to determine this month whether Islamabad endorsed the note submitted to a then top US military officer. The attorney general said on Monday he had been unable to obtain crucial evidence - Blackberry message data sent between Haqqani and businessperson Mansoor Ijaz, who claims to have acted as a go-between on the memo. He said Blackberry's makers refused to release such records without the customer's permission. Ijaz, who has American nationality, has not visited Pakistan since revealing the existence of the memo in the Financial Times in October. 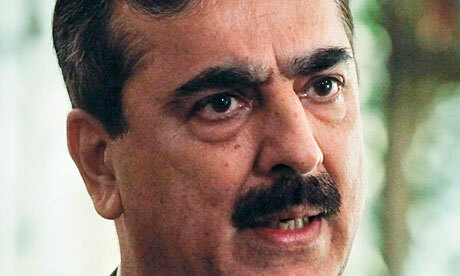 His lawyer, Akram Sheikh, said Ijaz feared for his life but would apply for a visa in Switzerland, indicating that he could testify by January 25.
prime minister, Yousaf Raza Gilani, has been threatened with jail for contempt of court and ordered to appear before the supreme court in person, raising the possibility that he could be disqualified from office. In the ongoing clash between the government and the courts, the judges went on the offensive on Monday, issuing a "show cause" notice for contempt of court to Gilani. He will have to appear in court on Thursday. There was speculation that the prime minister could resign before the hearing, with the possibility discussed at an emergency meeting of the coalition. The case hinges on the legal immunity of President Asif Ali Zardari, which Gilani is trying to protect. The court had previously ordered the government to write to the Swiss authorities, asking them to reopen old corruption cases against Zardari for money laundering. The government insists, however, that the president has constitutional immunity from any criminal charges. Gilani has repeatedly refused the orders to write to the Swiss government, raising the risk that he could be found in contempt of court. The judges said the government's lack of response to the orders meant "therefore we have no choice" but to start contempt proceedings against Gilani. Members of parliament are not permitted to have any serious convictions, so a contempt of court judgment could automatically disqualify the prime minister. The ruling Pakistan Peoples party believes the courts, supported by the military, are trying to hound it from office. Party insiders say that they will never write the Swiss letter. Later on Monday, the parliament, another pressure point on the beleaguered government, will vote on a no-confidence resolution. Analysts say that in the confrontation between the courts and the government, and the military and the government, democracy itself is in danger. In the separate "memogate" case, also heard on Monday, the star witness, Mansoor Ijaz, an American businessman behind allegations of treason against the government, failed to appear in court. His lawyer insisted he would show up next week. They first met in 2005, and ever since, this is one love story that has never ceased to fuel speculation. Now Mumbai Mirror has learnt of an impending wedding from a close friend of the couple, "Zaheer Khan and Isha Sharvani have decided to tie the knot at the end of March. The wedding is just two-and-a-half months away." Soon after India won the World Cup 2011 and Zaheer emerged highest wicket taker of the tournament, his proud parents were insistent on getting him married. And turned out, their wish was his command! "Recently, their families met and finalised the wedding details. A final decision will be taken when Zaheer returns from the ongoing Australian tour. If they don't marry in March, they will do so in October. But they are keen on March," their friend revealed, adding that the reception is slated to be a grand affair, with the Indian cricket team and quite a few B-town personalities on the guest list. In 2005, Isha was performing when the touring Australian team was leaving India, and that's when they met. It wasn't exactly love at first sight but they kept meeting at social dos, till one day, Zaheer proposed. Isha was totally smitten by the cricketer, and they got into a strong relationship for two years till they called it quits in 2007, after which they didn't stay in touch. They got together again in 2010, trying to make things work. Zaheer even bought a new flat in Parel, where Isha moved in; they were planning to tie the knot last year itself. But things went a bit sour although they soon reconciled, deciding this time around that they needed to legalise their relationship. As their friend assures, "All their friction is a thing of the past. Every couple has their share of ups and downs and this one is no exception. Anyway, its wedding bells for them in March." Despite repeated attempts, Isha and Zaheer remained unavailable for comment.